Home » Music » The Tripwires’ Fat City Let’s Go! Get Young grabbed the #1 spot on our best albums of 2014 year-end list. The Tripwires’ Fat City, Let’s Go! Is a worthy follow-up and the most entertaining release of this year so far. A six song EP, John Ramberg’s latest albeit abbreviated collection of songs are as catchy as ever while maintaining the same quirkiness that has made each of the band’s past releases so appealing. 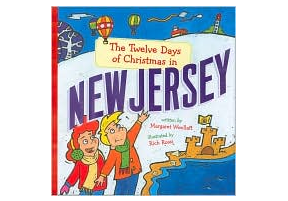 His cohorts, Jim Sangster, Johnny Sangster, and Dan Peters are in fine form, too. Ramberg has a unique ability to paint engaging character vignettes as well as any songwriter around today. In fact, “Ned Beatty’s In Love” from the 2009 album House to House is a great example of his innate ability to caricature with words. Consequently, it’s one of my favorite songs of the past ten years. It’s not dissimilar from the thought process a movie director might employ, I suppose. Consider the closing song on Fat City. Inspired by a line in the Tim Burton classic Ed Wood, Ramberg describes a latter career Bela Lugosi, bitter and forgotten by Hollywood directors and fans alike. Check out the clip from Ed Wood at the end of this article if you’re at all curious about the line from the movie that inspired the song. As for the rest of the EP, the mid-tempo opening title track is one big hook from start to finish. “Nothing of the Kind” and “I Stand Corrected” are real ear-worms, each with a chorus that will play over and over in your head well after you’ve initially heard them. “New New New” moves at breakneck speed and feels like some of the best Rockpile tracks. 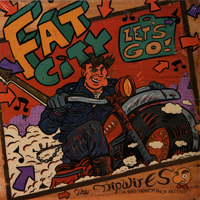 Additionally, I feel it appropriate to mention the artist who did the cover of The Tripwires’ Fat City Let’s Go! In a style that is both bold and beautiful (and somewhat reminiscent of the underground comic books I read as a kid), Jeremy Eaton’s vivid lines and colorful graphics are entertaining. For any doubters, this kind of truly exceptional cover art is the only reason we need to keep the vinyl medium alive forever. Eaton is really talented. Check out his work HERE. At the moment, The Tripwires Fat City, Let’s Go! Is not available on CD however you can get it on vinyl at Kool Kat Musik or in digital form from FOLC Records. The Tripwires’ Fat City Let’s Go! Is HIGHLY RECOMMENDED.